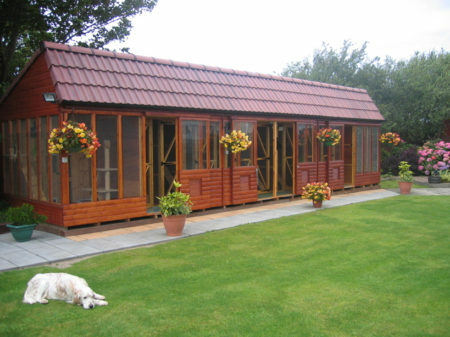 Our DARD licensed facilities offer a modern spacious luxurious log style block, this block has been completly refurbed for 2017 summer season it has designed to take full advantage of the mature manicured gardens so as your cat can laze the day away. 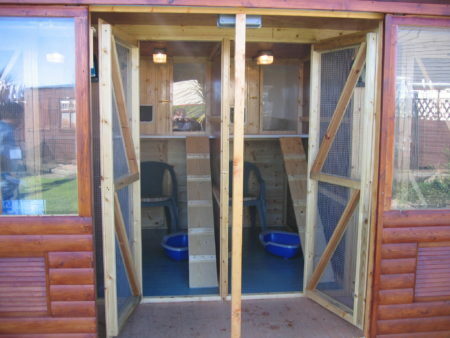 Each cabin is fully insulated and electric heat pads are available to keep your pet cozy and warm. We have just opened an indoor luxury heated cattery for summer 2017 spacious cozy units as an addition to our growing business. Runs are spacious and look out directly onto the gardens. 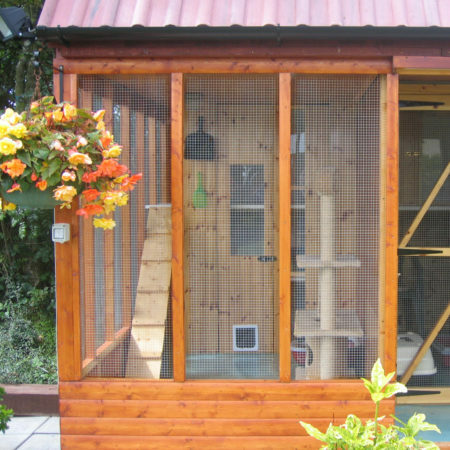 There are single and double units and 2 large multi occupancy units suitable for up to 5 cats from the same owner. Music is played all day to help your pet settle. All cats must be fully inoculated against Feline Infections Enteritis & Cat Flu and fleas.